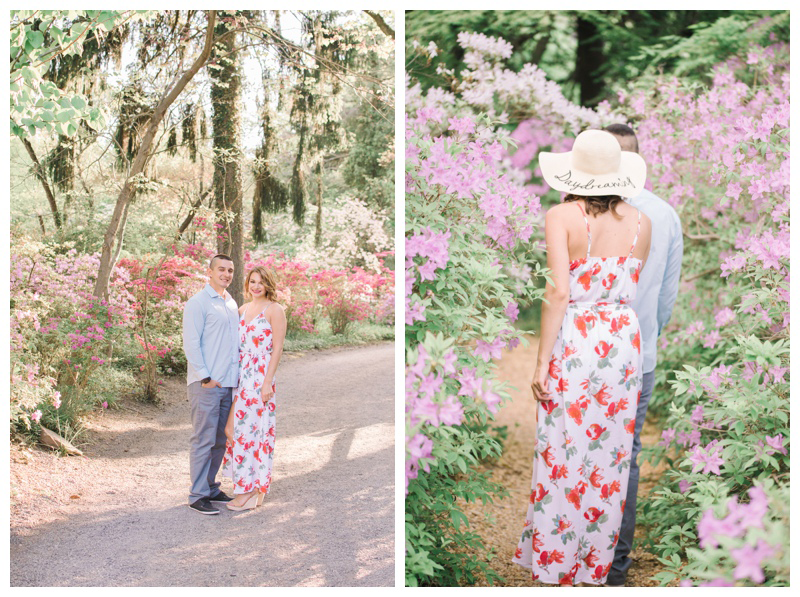 I met up with Carli and Keith at Sayen Gardens in Hamilton, New Jersey for their garden engagement session. 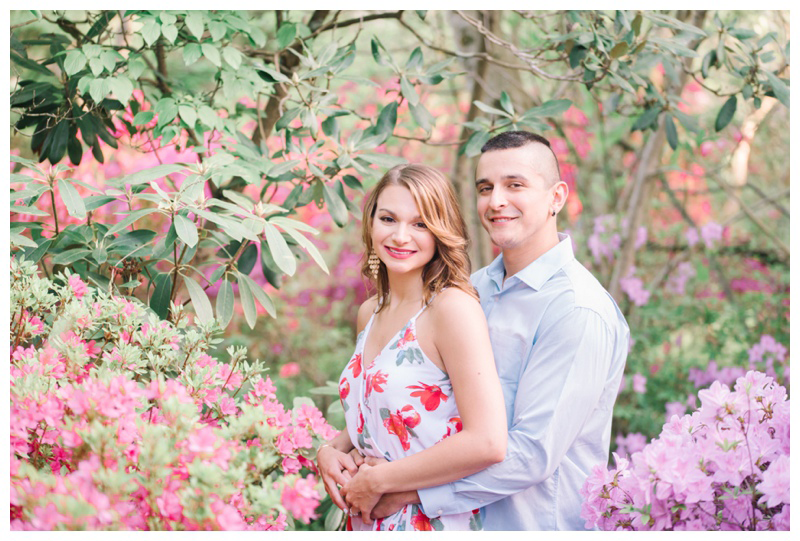 We didn’t realize that two local high schools were having their prom that same evening. 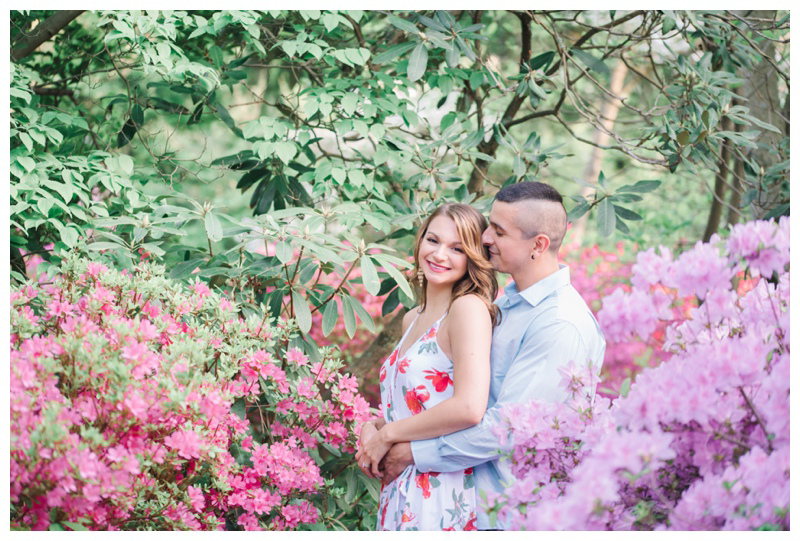 There were so many high school seniors and their parents and photographers all over the gardens. 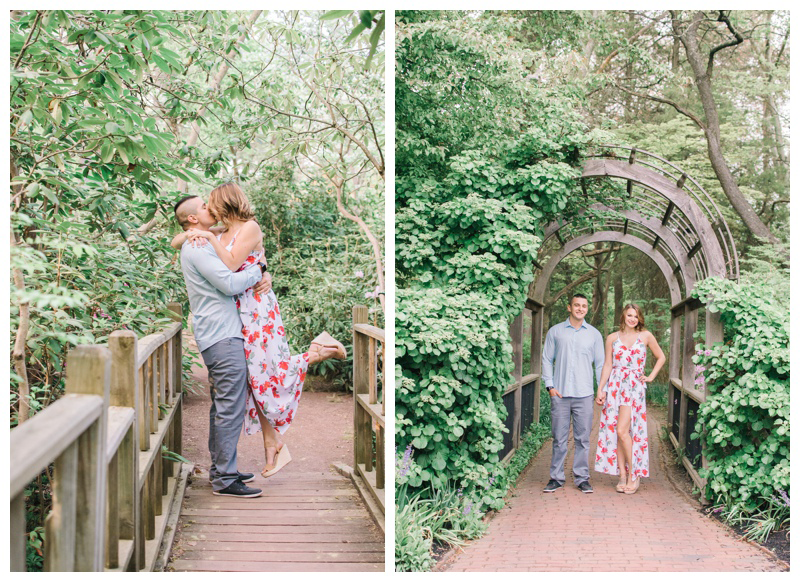 We had to get creative with our locations, but everything worked out. 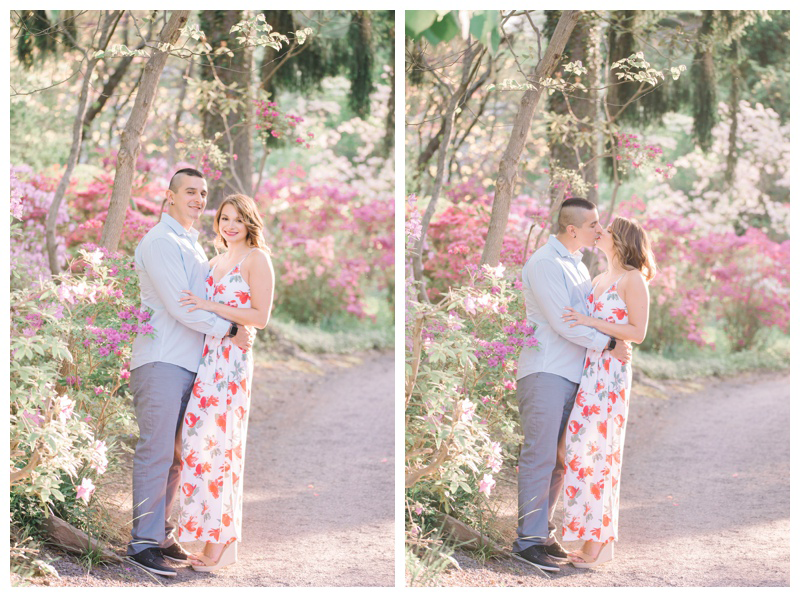 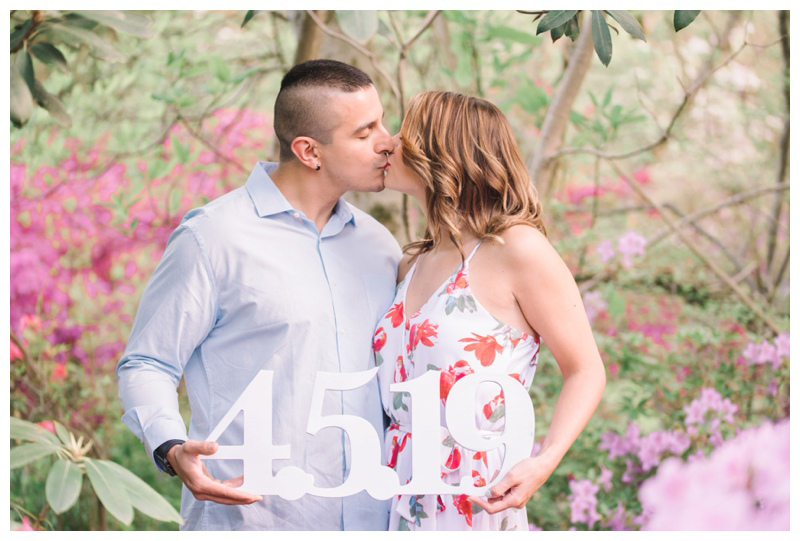 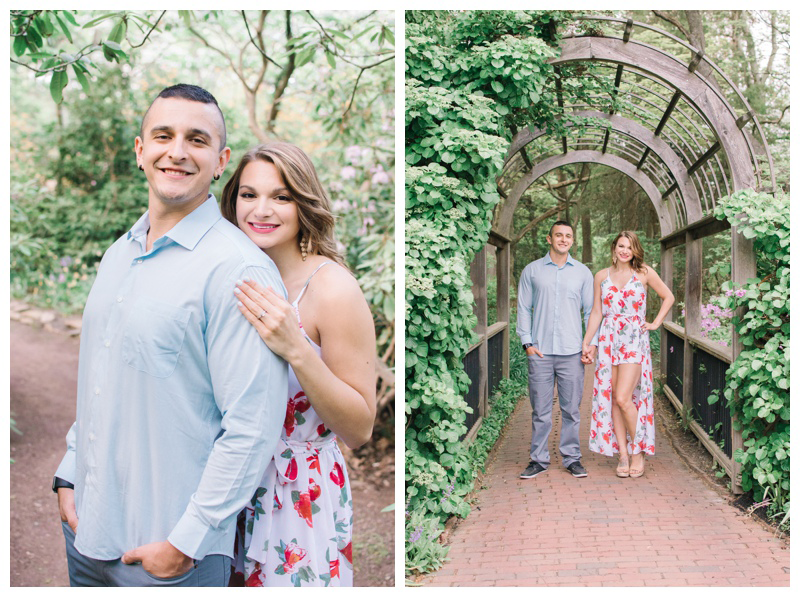 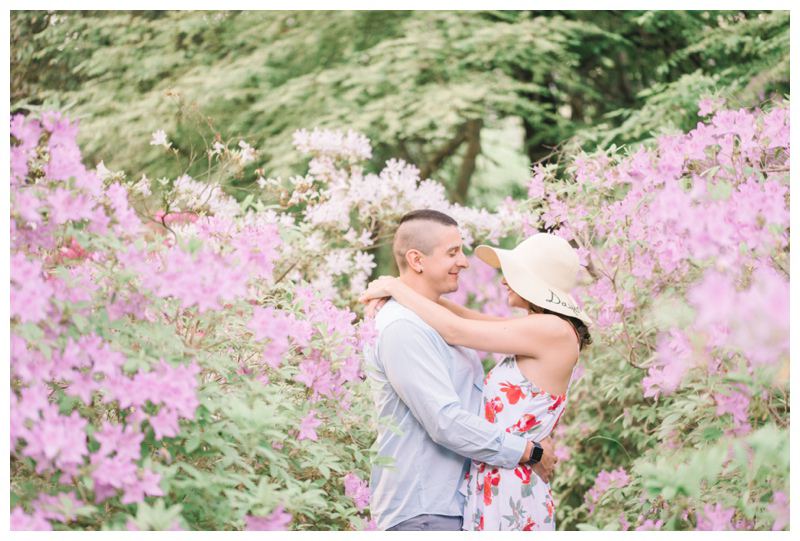 Sayen Gardens is a beautiful location for a garden engagement session this time of year. 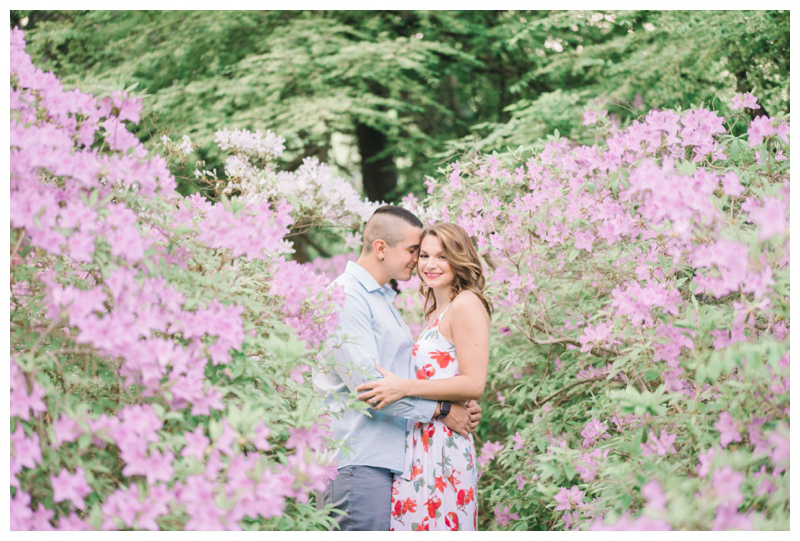 All of the flowers are in bloom right now, including the gorgeous azaleas. 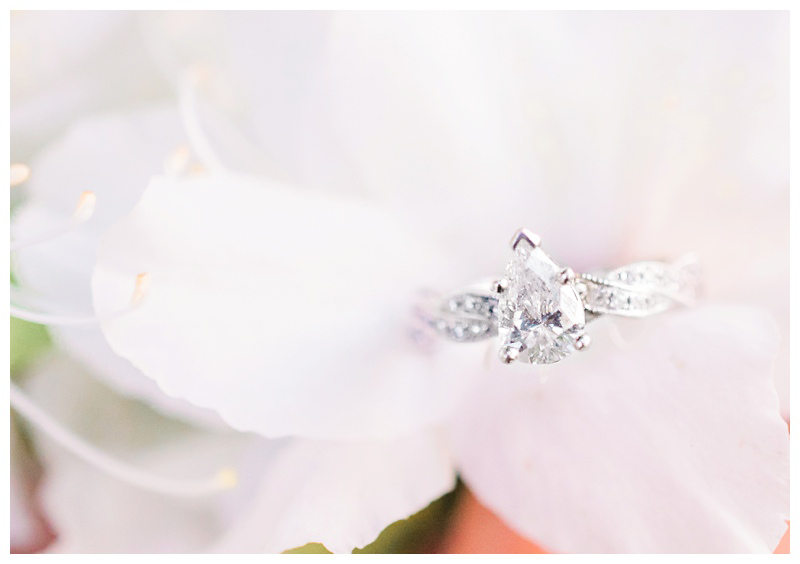 I know the bride-to-be from my dental assisting days! 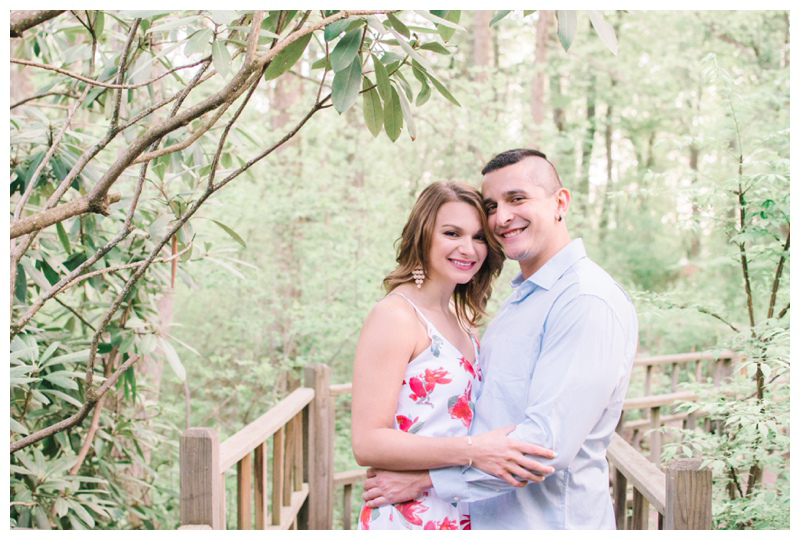 She is also a dental assistant and it was great to see her again! 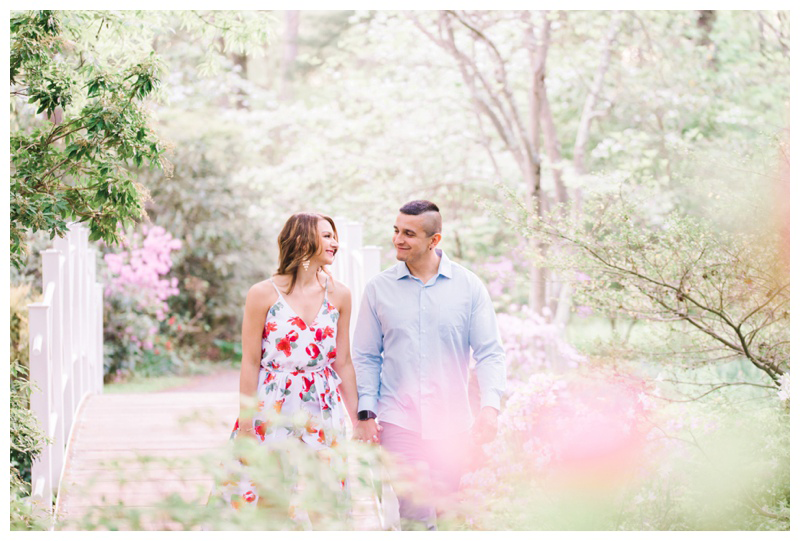 I got to meet Keith for the first time at their engagement session and I am looking forward to their Hotel Du Village wedding next Spring! 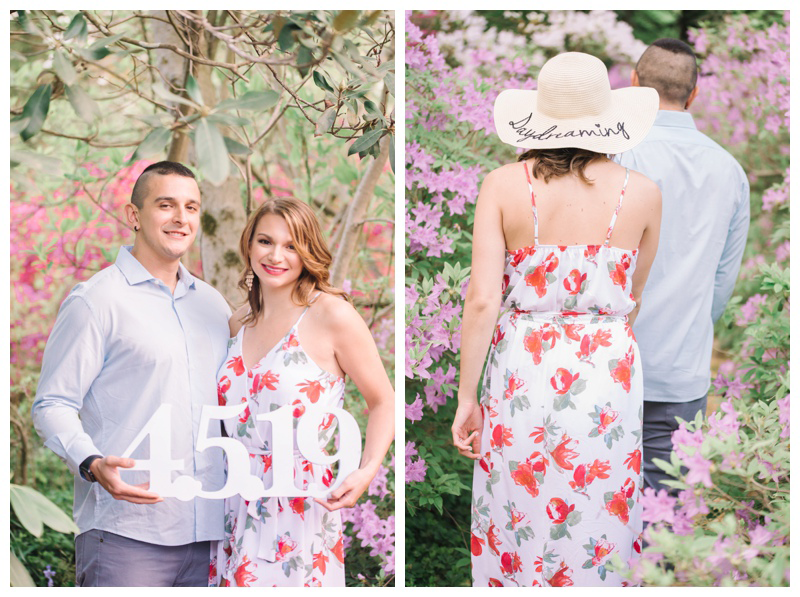 Read below, to hear their adorable proposal story and view a little sneak preview from their engagement session! 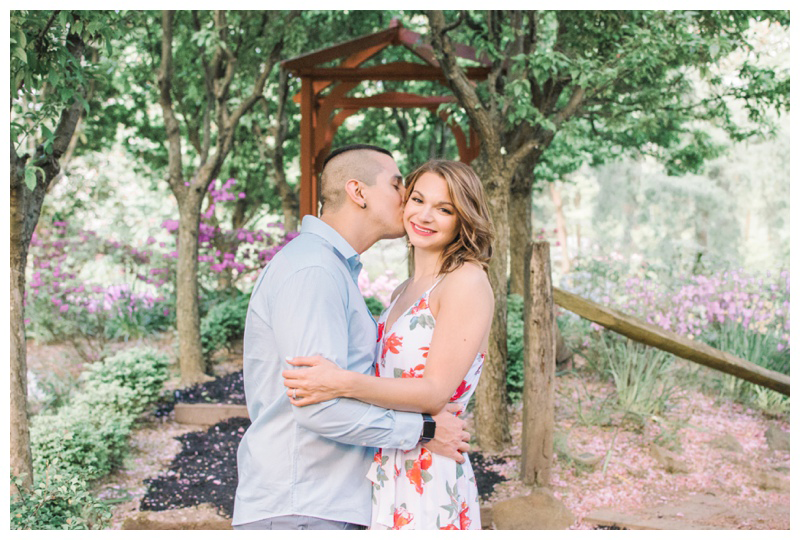 If you are currently planning your wedding, click this link, to receive more information about my wedding photography package!